By Melissa Lennig on December 21, 2015 Leave a Comment. This content contains affiliate links. As an Amazon Associate I earn from qualifying purchases. 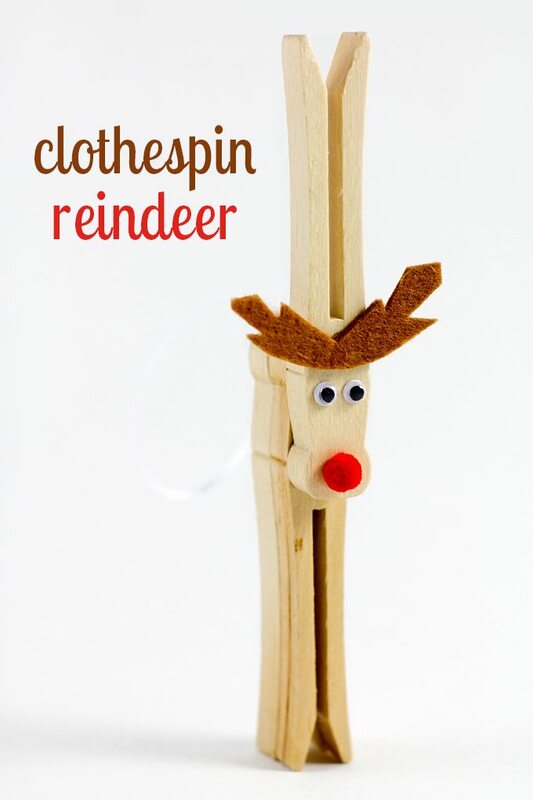 In this post, learn how to make a classic clothespin reindeer ornament for your Christmas tree. This easy and fun Christmas craft is perfect for kids! Simple enough for home or school, it’s a fun DIY ornament to make for the holidays. Last year, my mother-in-law mailed a box of my husband’s childhood Christmas ornaments to us. Inside were little handmade candy canes, snowmen, and Santas. We absolutely fell in love with his 1980 clothespin reindeer ornament with a green pom pom nose! I thought it would be fun for my children to make a similar ornament as their Daddy’s. 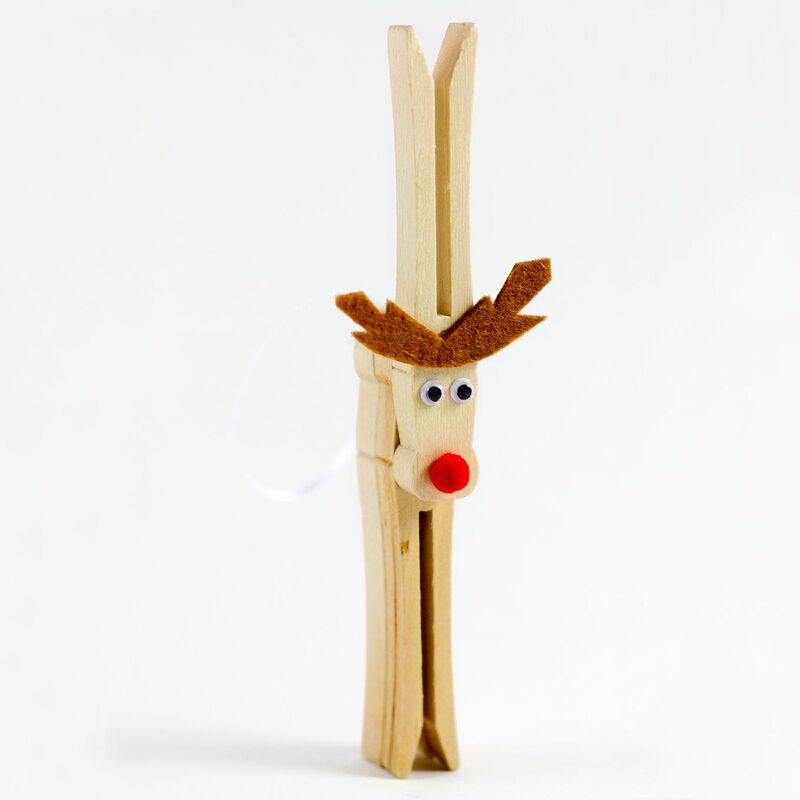 Requiring just a handful of inexpensive craft supplies, these wooden peg reindeer make a sweet gift and look adorable on the Christmas tree or tied on a Christmas gift. 1. Glue a loop of ribbon between two wooden clothespins. Secure the third clothespin to the top of the others, but flipped in the opposite direction. 2. When the glue is dry, cut antlers from brown felt. Glue the antlers to the reindeer’s head. 3. Cut a small tail from the felt. Secure it to the back of the reindeer with tacky craft glue. 3. 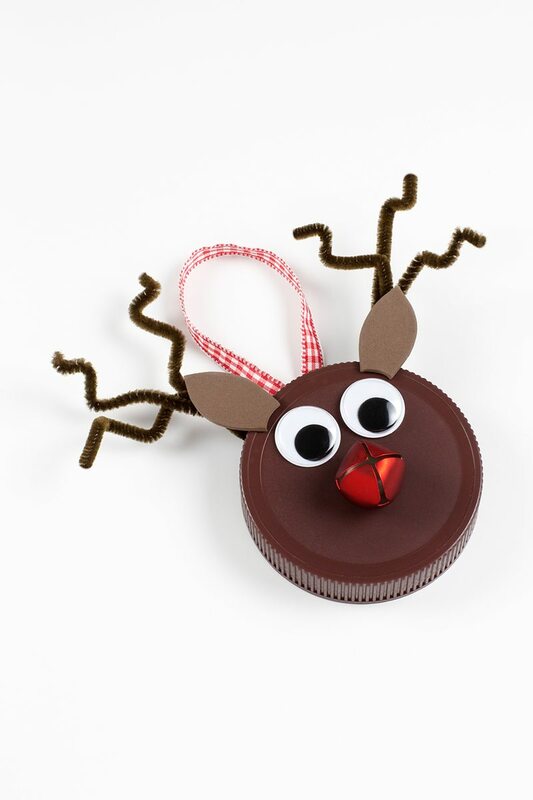 Glue two small wiggly eyes and a pom pom nose to the reindeer’s face. 4. String a small jingle bell onto a loop of ribbon, then tie it around the reindeer’s neck. Aren’t they adorable? 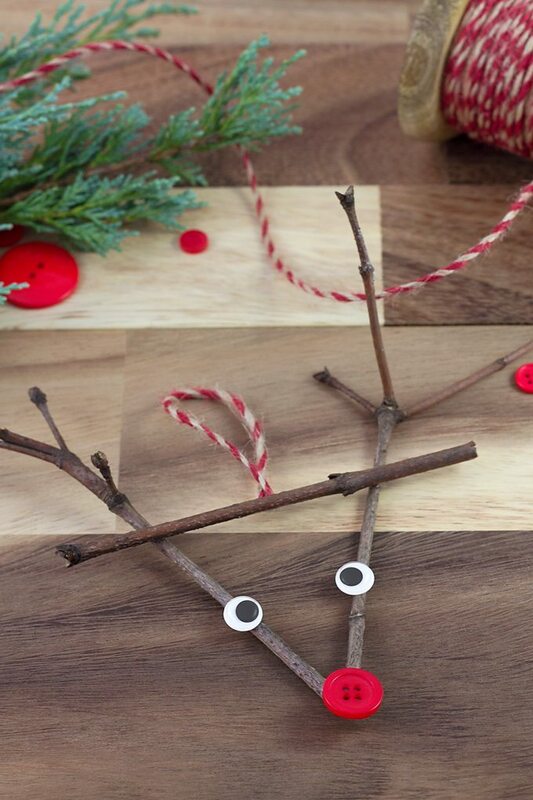 Kids just love to make these cute reindeer ornaments! If desired, write the year and your child’s name on the ornament with a paint pen. 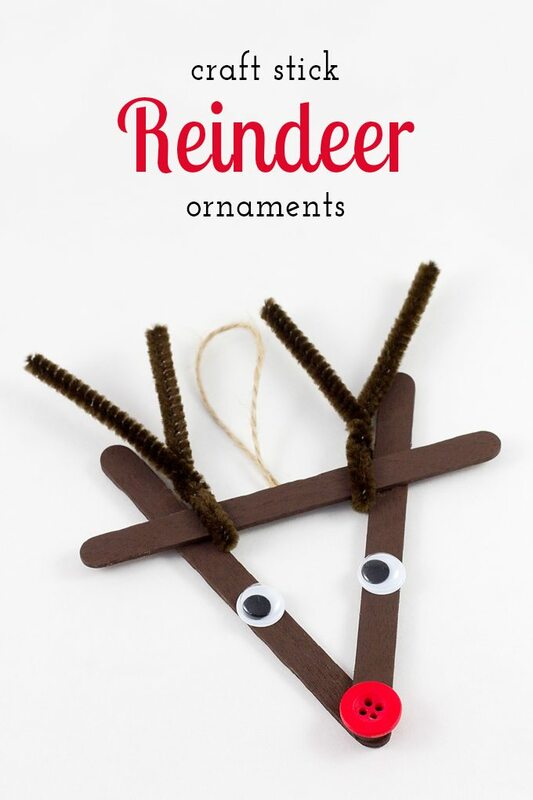 Click the images below to view more DIY reindeer ornaments for kids!